England beaten at home at Wembley when Holland came back from a goal down to win the game 2-1 and completed an unlikely win against England side who were buzzing after their win over Germany last weekend. Vardy scored for England in first half but a penalty and late goal from Luciano Narsingh turned things around for a bruised dutch side. 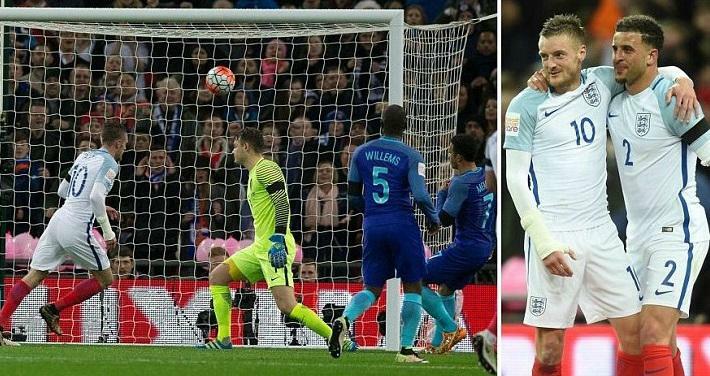 England played Netherlands in the friendly game this Tuesday night, 29th March 2016 at the Wembley Stadium. Having already defeated Germany last weekend England were in good shape going into the game against dutch side whose form has taken a nose dive since 2014 world cup. Roy Hodgson started with Vardy and Sturridge upfront while Harry Kane was on the bench as England tested out a few combinations before the Euro 2016 comes around. England took the lead at the stroke of half time when Jamie Vardy poked home from close range after a superb build up play across the pitch allowed Kyle Walker to square a ball inside the box from byline. Vardy was in good position to slot home his second in as many games this week. Holland however struck back just after the break when Danny Rose handled the ball inside the box and referee had no other choice but to give away the penalty. Vincent Janssen stepped up and put it past Fraser Forster to make it 1-1 and on the night and setup a superb last 30 minutes. This was the first time England conceded a goal in international football via penalty since 2008. There was a moving tribute for Johan Cruyff who died last week losing his battle against Cancer. 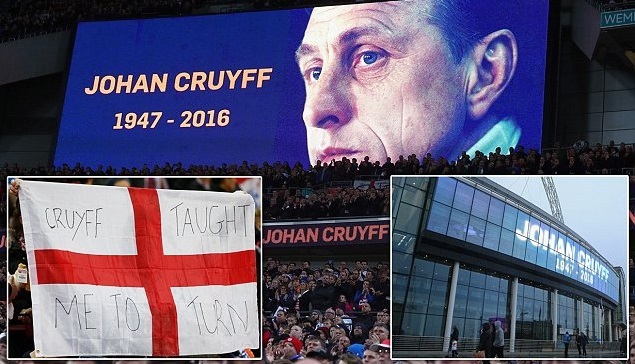 In the 14th minute Cruyff picture was shown on the screen while crowd applauded for a minute. Luciano Narsingh was on hand to slot home Holland’s second of the night after referee waved play on when Janssen ran into Jagileka which should have been a freekick in England’s favour. All in all it was a very even game but England did miss some experience in the final third where they failed to take full advantage of chances created. 77′ 1 – 2 Luciano Narsingh’s late second half goal completed the turn around at Wembley.